Continued Growth of ZEVO® LED Line Ushers Vehicles into the Next Generation of Innovative Lighting Solutions. 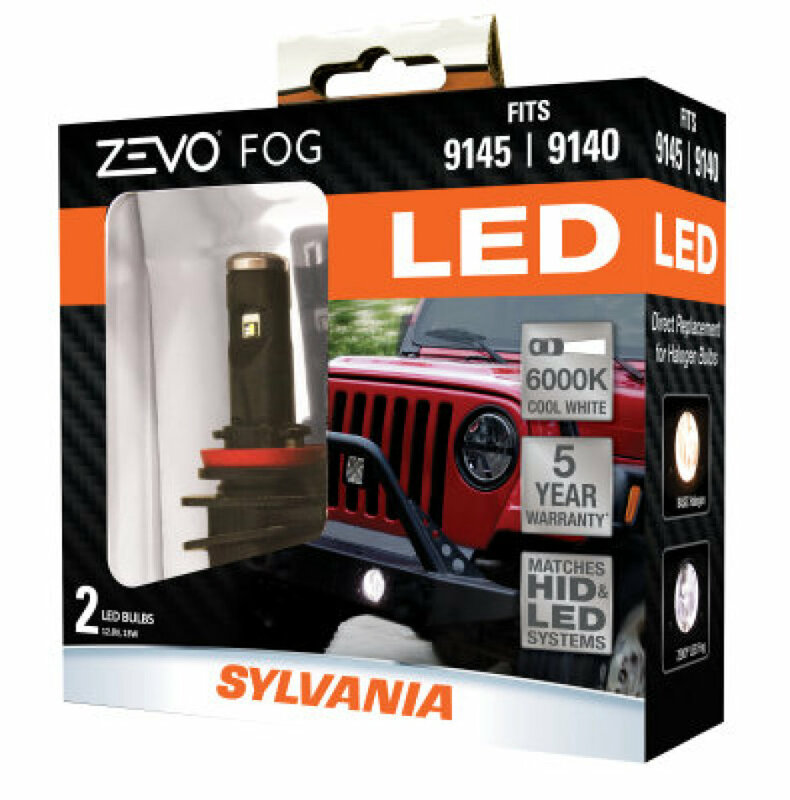 The latest additions to the ZEVO LED Lighting line include the SYLVANIA ZEVO fog bulb, which is designed to last longer than traditional halogen fog bulbs while offering whiter light for increased style and performance. SilverStar® ULTRA, the farthest downroad halogen headlight from SYLVANIA Automotive, designed with a whiter light which improves contrast and clarity of items on or near the road, significantly improving side road and peripheral visibility. zXe®® headlights and fog lights, which feature a crisp white light. Halogen lines are made to compete with HID headlights in style and appearance, while the HID zXe are designed to compete more with LED headlights in style and appearance. A recent survey conducted by KRC Research on behalf of SYLVANIA Automotive found that more than two thirds (70 percent) of drivers are increasingly concerned about driving at night, while 83 percent agree that better performing headlights are clearly connected to increased vehicle safety – which are all critical factors to consider when selecting a vehicle’s next set of headlights. OSRAM SYLVANIA, together with OSRAM GbmH, is the world leader in automotive lighting for original equipment manufacturers (OEMs) and the aftermarket. The company’s global automotive lighting division has its principal North American operations in Hillsboro, N.H., with nearly 600 employees. In addition to TS 16949, this facility has also achieved ISO 9001 and 14001 certifications. Automotive Lighting designs, develops, manufactures and markets state-of-the-art automotive light sources, including auxiliary, advanced halogen, LED and high-intensity discharge lighting for interior, exterior and forward lighting applications. More than 400 lamp types are produced for cars, trucks, and electronics in facilities throughout the U.S., Europe, and Asia. Automotive applications for OEMs are marketed under the OSRAM brand while products for the aftermarket are sold under the SYLVANIA brand. OSRAM and SYLVANIA are trademarked.